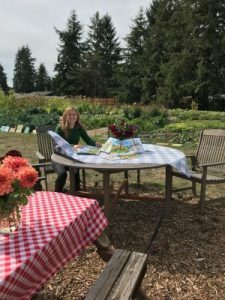 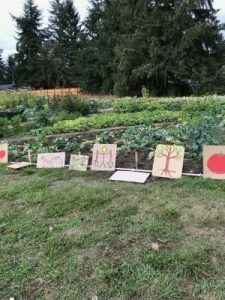 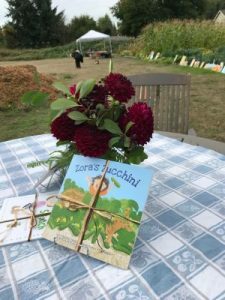 Those involved with the St Mark Community Garden, Mountain View Elementary School, and the Thurston County Food Bank hosted author Katherine Pryor on Sept 21 to celebrate Food Literacy Month. 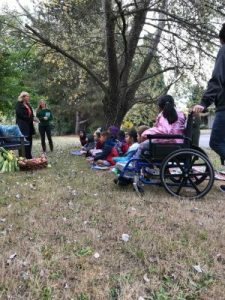 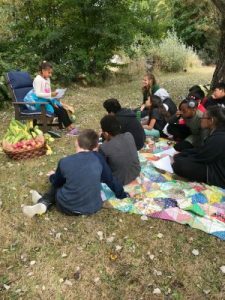 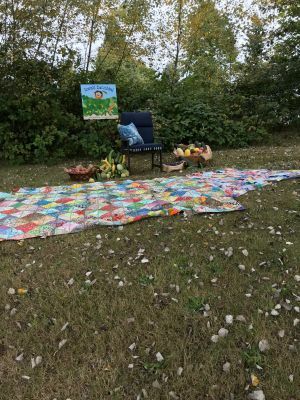 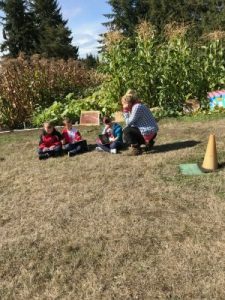 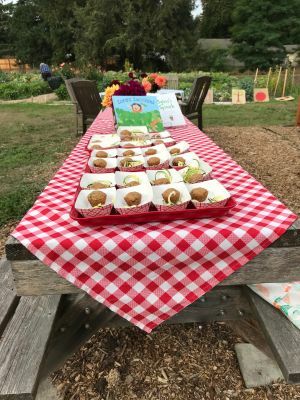 Featured events included a reading of the book “Zora’s Zucchini”, a visit to the pumpkin patch in the St Mark Garden, and a picnic of zucchini-themed treats. 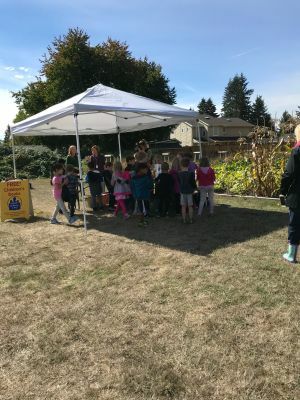 The event took place in the St Mark Community Garden and Mountain View youth from grades 1 through 5 participated.